On the heels of Food Literacy Month, comes National Farm to School Month, Mass Harvest for Students Week, and Food Day (October 24). So many food holidays! Check out these posts about Food Literacy Month and how we celebrated. For more on our National Farm to School Month, Mass Harvest for Students Week, and Food Day celebrations keep reading! 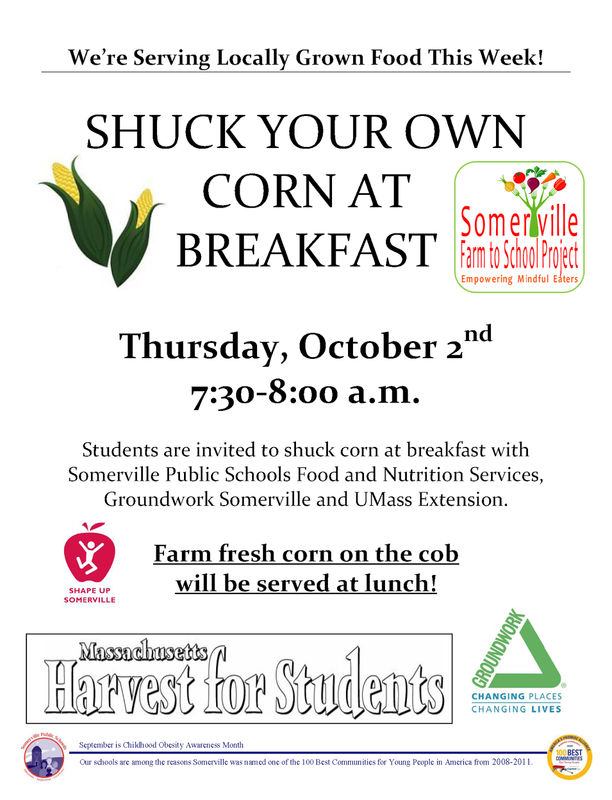 On Thursday, October 2 we will be hosting a Corn Shucking Event at every Somerville Public School. Parents and students are invited to shuck a few ears of corn during morning drop off. The corn will be served, later that same day, to all students who receive the school lunch. Volunteers from Groundwork Somerville, UMass Extension, Shape Up Somerville, and Somerville Public Schools will be generously donating their time to help with the success of this event. For seven consecutive Mondays, beginning on October 20, we will be hosting a lunch time apple taste test at the Somerville Elementary and Middle Schools. We are calling it: A Tale of Two Apples! 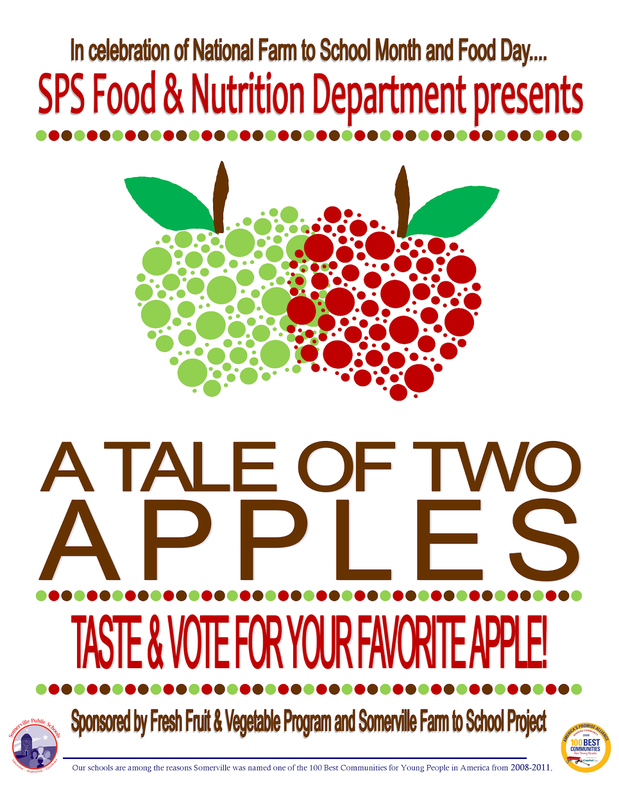 Students will taste and vote for their favorite apple. On October 24, in celebration of Food Day, we will be serving a lunch featuring local vegetables! Additional events are being planned. Check back in with us throughout the month of October! Content provided by Charlotte Stephenson, Fresh Fruit and Vegetable Grant Coordinator and Karyn Novakowski, Farm to School Project Director.